I found it in one of those enormous scrapbooks compiled by Rice alumni. It would probably be possible to figure out from stuff we have in the Woodson how much money was realized from this but the thought of so much tedium is just too much for me. And in any case that isn’t what interests me here. 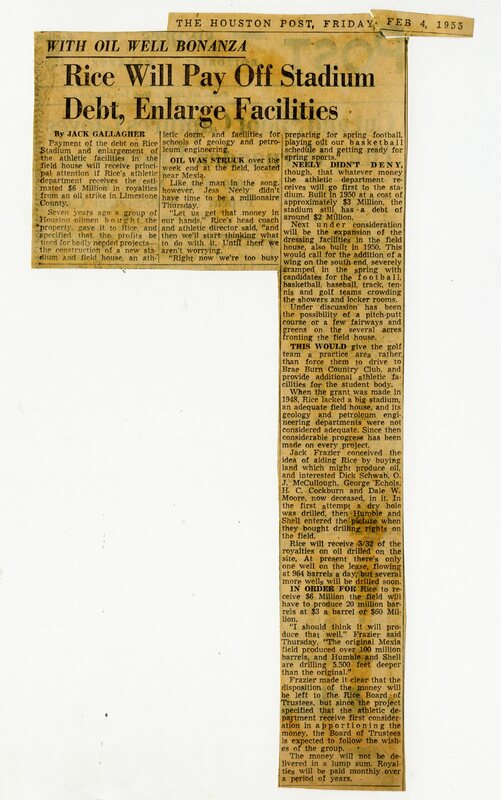 First off, the description of the state of affairs concerning athletic facilities so soon after the new stadium and gym were built is something I’ve never seen before. I’m reasonably certain that the golf holes were eventually added. Even more interesting, however, is the fact that there was still $2 million to pay off. If I had to guess, I would say that the debt was actually owed to the university itself, which likely fronted most of the money for construction. This would have been an easy thing to do at the time because through the 1950s the athletic department made a profit every year, usually somewhere in the neighborhood of a quarter million dollars. Bonus: This caught me by surprise the other day. 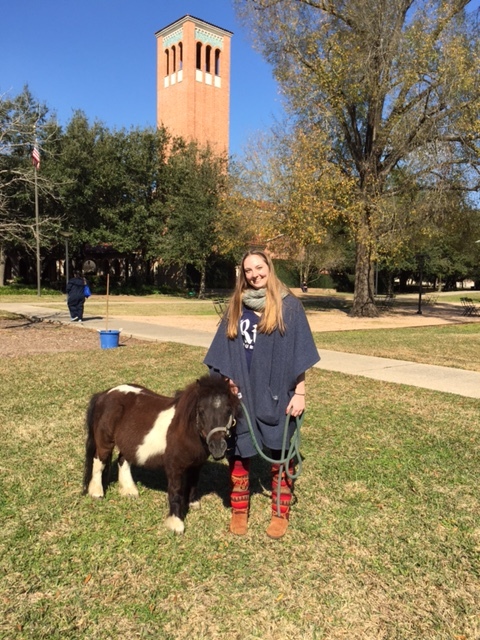 The Rice Equestrian Club was attracting attention by means of a tiny horse named Ringo. It certainly worked. Oil at $3.00 a barrel. The mind boggles.